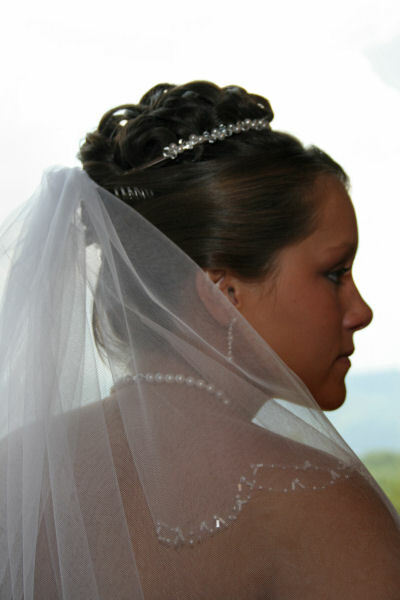 Why Choose ANGEL’S VIEW for your WEDDING DAY! When developing Black Bear Ridge Resort, I wanted to save the best spot for Brides and Grooms to have the perfect backdrop for their wedding day. 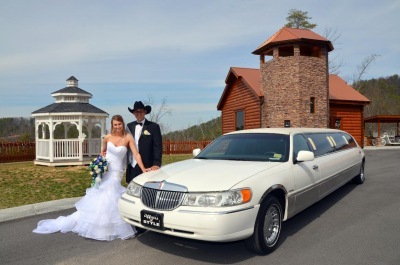 With the Smoky Mountain Area being one of the top Wedding Destinations besides Las Vegas, our Wedding Chapel is very unique to the Pigeon Forge, Gatlinburg Area. There is no other wedding chapel in the area that provides indoor or outdoor ceremonies, lodging, a reception hall and a salon and day spa in the same location. We also provide the extras such as floral arrangements, ordained minister, music, photographer, catering, tuxedos, limousine service and much more. We provide weddings that are budget friendly starting out with intimate ceremonies with just the 2 of you at 249.00 plus taxes and go up to seating 65 comfortably with larger wedding packages. Or in front of our glass altar inside our beautiful log wedding chapel. It is hard to explain without showing you pictures of our facility or you visiting our wedding venue. We welcome you to visit by making an appointment by calling one of our coordinators at 1-800-758-6604. We have a Reception Hall so your family can gather and congratulate you on your big day! We also have limousine service if you would like a ride on the town or enjoy the Christmas Light Tour! 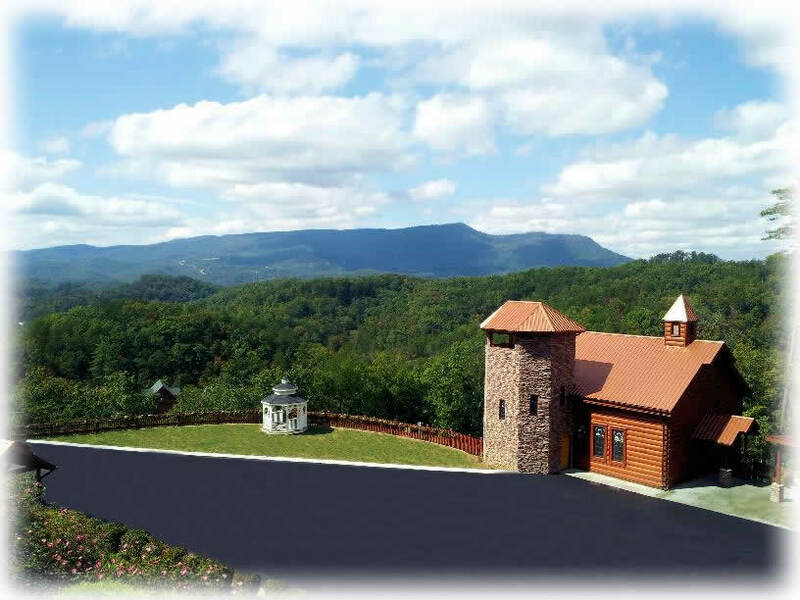 We can provide our chapel which seats up to 60 guests, with a glass altar that overlooks the mountains or if it is just the two of you, you can use our stone tower that is high above the chapel with views that go forever. "Romantic" just doesn't seem to cover it. You possibly can have a few more than 60 but be aware that it will be tight. Please discuss this with your wedding coordinator. We want your wedding day to be comfortable for all. Effective immediately: all services provided by Angel's View Wedding Chapel can not be substituted by any form such as minister, photographer, videographer etc... Please understand we have created a system that works for our brides and grooms with style and flows smoothly with making their day memorable. Please leave all cameras inside your car or other charges will apply. You may use them in the reception area only. 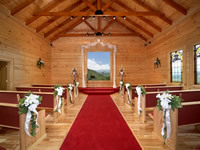 If a bride or groom wants to bring their own minister, photographer, and or video camera then the chapel can be rented for 1 hour for $1000.00 with none of our decorations being removed or altered. If you need longer, you must talk with a coordinator for charges and to see if we have a wedding before and after that particular hour. We also provide lodging for family or for the honeymoon couple with luxury log cabins. Some even have their own swimming pool in the cabin. Amenities include whirlpool tubs, hot tubs, spacious decks, pool tables, games, satellite tv/dvd/vcrs, grills, washer/dryers, full kitchens, home theaters, etc...to book visit www.pigeonforgecabins.com or call 1-888-889-7865. We offer limousine services. We have an executive excursion to get you around in the mountains and we offerspecial tours such as Christmas Light Tours, Cades Cove, off site photography shoots, art and crafts tour. We can also get a hummer stretch up the mountain. Again, ask your coordinator. Our reception hall is located right next to the chapel so you do not have to leave. You can have a small 1 hour reception with nuts, mints, and punch all the way to a 3 or 4 hour sit down dinner with a 3 course meal. Add a Disc Jockey for dancing or bring your own CD's because we do have surround sound throughout the hall. We also have a beer license and can provide by the drink. Please talk to your wedding coordinator about bartending services. Please ask coordinator about order of reception. We can not read minds so please let us know if you have any questions. We do not mind answering your questions. We also have a salon on site with professional stylists to provide you with a beautiful bridal style, make up, pedicure, manicure facial, massage or what ever professional salon service you choose to relax and enjoy. Beautiful wedding cakes make for a smart wedding. We also provide groom cakes. We provide floral design, silk or fresh arrangements can be made. Floral arrangements can be for your bridal bouquet, bout., attendants bouquets and bouts, father's bouts and mother's corsages and table arrangements for your reception. We want to make your wedding day memorable.